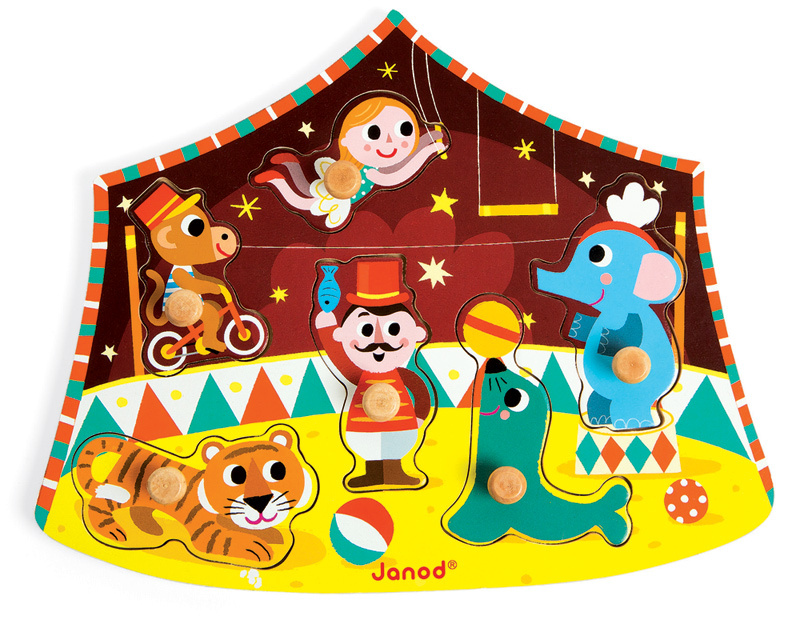 Help the ringmaster lead the animals through their performances. 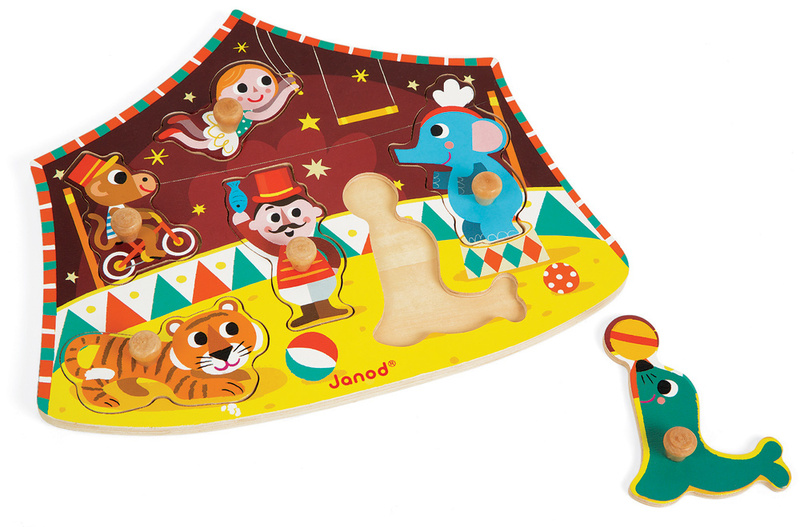 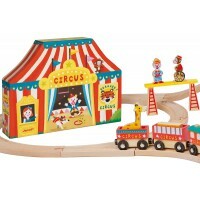 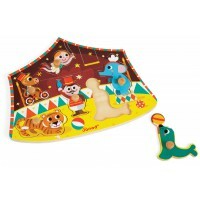 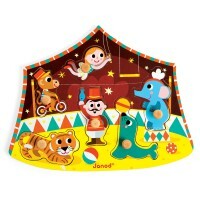 Six characters make up the Stars Circus peg puzzle. 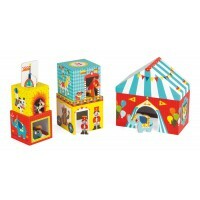 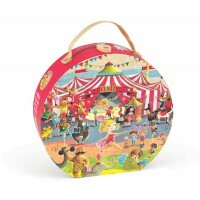 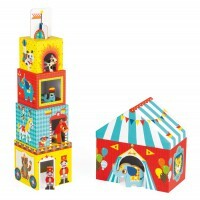 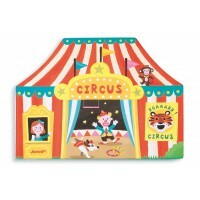 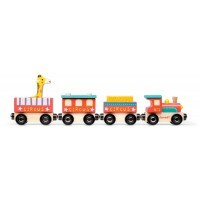 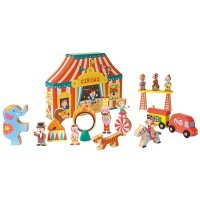 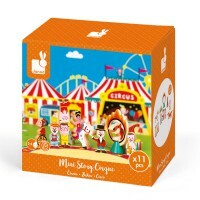 All your favourites including the elephant, monkey and flying trapeze. 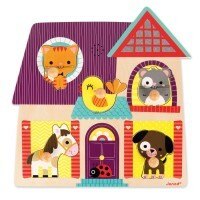 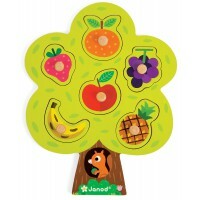 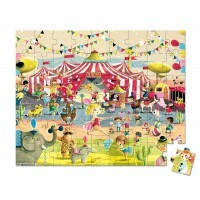 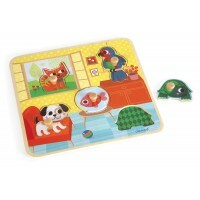 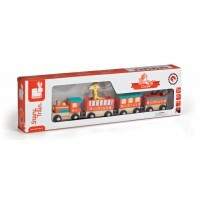 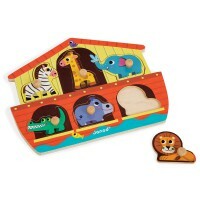 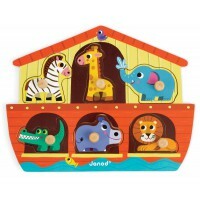 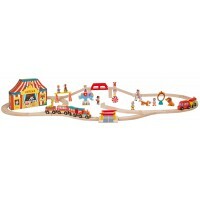 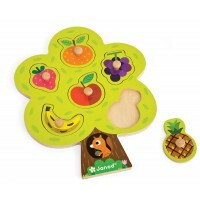 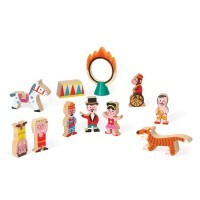 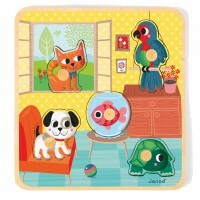 Chunky wooden pieces with knobs especially for little hands make this puzzle a must for the playroom or nursery.